On Thursday, Cutter Loose is underway from Hampton City Pier at 8 AM for the short, 22-nautical mile run to Great Bridge, VA. Another day of sunny skies and comfortable 70-degree temperatures provide a pleasant backdrop as we navigate our way through Norfolk’s busy harbor. Although the journey is short, it is filled with the fascinating sights, sounds and distractions of a military and industrial zone. In the hierarchy of authority within the busy shipping channel, naval warships are at the very peak of the power pyramid. Naval personnel provide advance warnings relative to the movement of warships in the harbor. A stern announcement on VHF radio warns all marine interests to obey a 400- foot security zone around the vessel. A squadron of smaller Navy gunboats staffed with armed guards brandishing automatic weapons, zip around the harbor at high speed in an aggressive show of power. Their task is to enforce security perimeters, sending lesser vessels scurrying towards the shallower edges of the channel. At the opposite extreme, slow-moving pleasure boats are relegated to the very bottom of the shipping channel food chain. The VHF radio crackles with polite admonishments from container ship pilots and tugboat skippers, urging pesky sailboats to clear the channel. 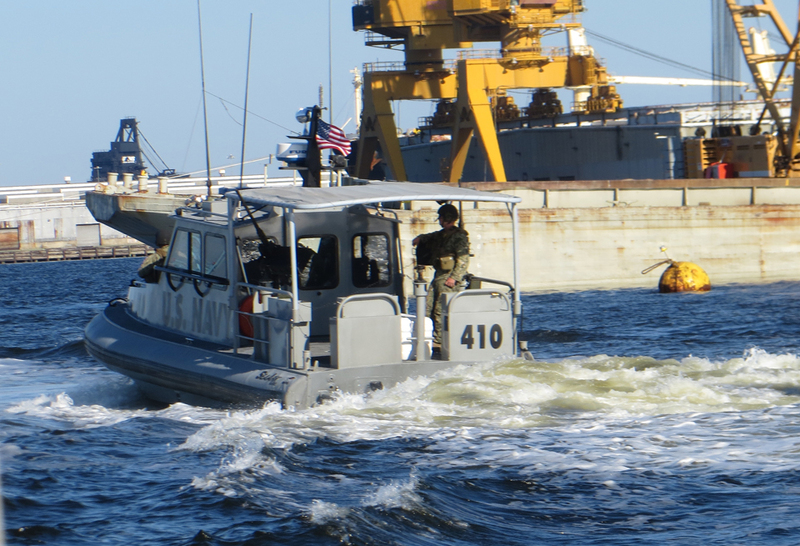 Security vessels patrolling the naval shipyards act as a visual reminder to remain clear of ship building and ship repair activities. The prudent strategy of least resistance in this malaise is to deftly pilot one’s pleasure boat right up alongside the channel markers, neither completely in nor completely out of the shipping channel. When a traffic conflict arises, a swift but temporary departure from the channel normally solves the problem before it arises. Mile marker zero at Hospital Point in Norfolk marks the beginning of the Atlantic Intracoastal Waterway (ICW). In about two months’ time, Cutter Loose will arrive in Coconut Grove (Miami) FL which is located at mile marker 1094. By mid-morning, the Gilmerton Bridge operator is in a relaxed mood having endured the hectic initial opening following the 6:30 AM to 9:30 AM rush-hour blackout period. Two railroad bridges that are normally in the open position are temporarily closed this morning for rail traffic. This is not a problem as we are on a relaxed schedule today. Despite the closures, we manage to navigate our way through the Elizabeth River to Great Bridge Lock in time for the 11:30 AM opening. By noon, Cutter Loose is locked through and docked alongside a public park which is our final destination for the day. From this spot, it is a short walk to grocery stores, Starbucks and restaurants. 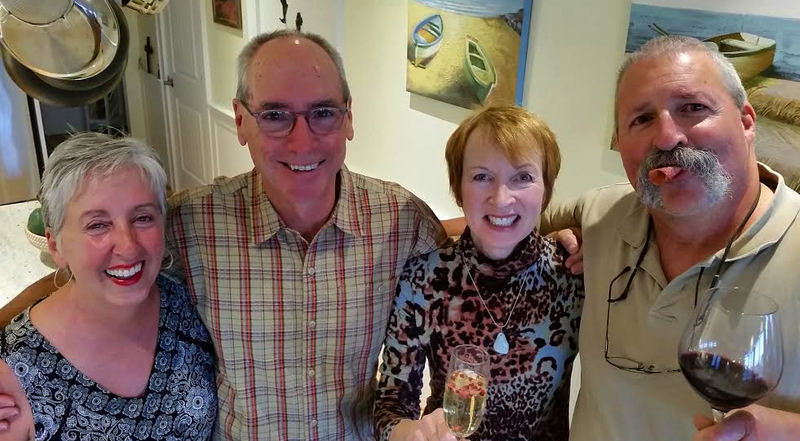 We spend an enjoyable evening aboard s/v Dream Catcher reuniting with cruising friends and planning the next steps of our journey along the Atlantic Intracoastal Waterway. On Friday morning, Cutter Loose assumes her position in the queue for the 9 AM opening of Great Bridge. Traffic on the waterway is relatively light at this hour. By 11 AM, a veritable parade of snowbird motor vessels arrives from astern. 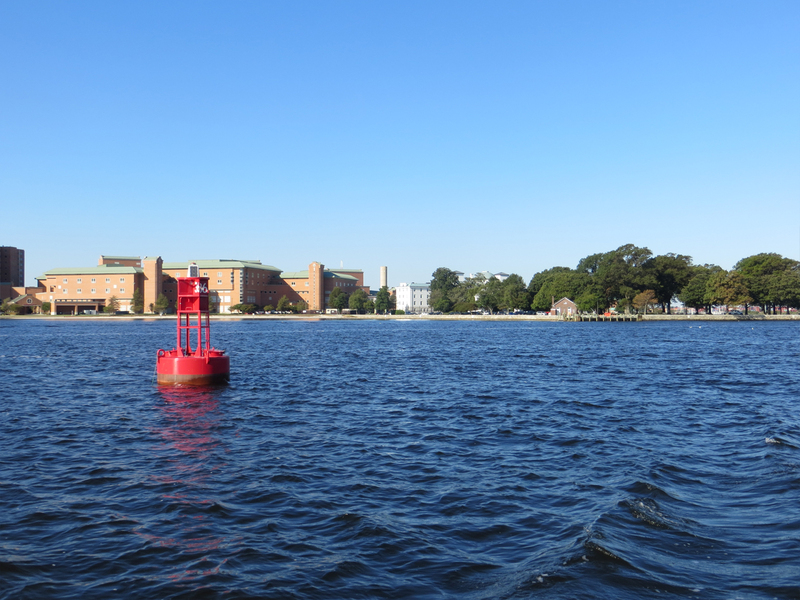 When a faster motor vessel overtakes a slower sailboat on the waterway, the polite protocol is for both vessels to slow to a near stop in order to avoid an uncomfortable wake from the faster vessel. This requires compromise on the part of both skippers, each of which would prefer to transit the waterway without the added time and expense of repeatedly slowing down and speeding up. Despite the disparity in speed between motor vessels and sailing vessels, courtesy and mutual respect prevails. By the time we cross the border into North Carolina and arrive at Coinjock circa 3 PM, no fewer than 25 faster vessels have overtaken Cutter Loose. Thankfully, most motor vessels are content to dock at Coinjock Marina for the night while we continue on to an overnight anchorage near Buck Island, some eight miles south of Coinjock. It is entirely likely that these same vessels will overtake us on the waterway again tomorrow. At 4 PM, the log reads 43 miles for the day. 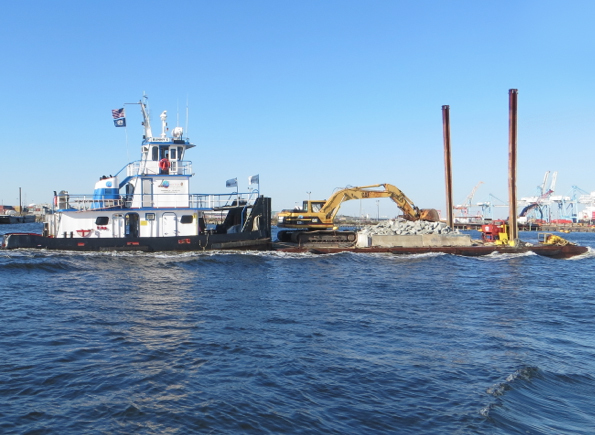 The anchor is down in the lee of Buck Island at mile marker 58. There has been a noticeable change in the weather today. This afternoon, sunny skies have given way to heavy cloud cover and an increase in wind. A TROF will drag a cold front through the region tonight, ushering in a wave of cooler Canadian air. The wind has already backed to the north. For tonight, however, our anchorage is secure. 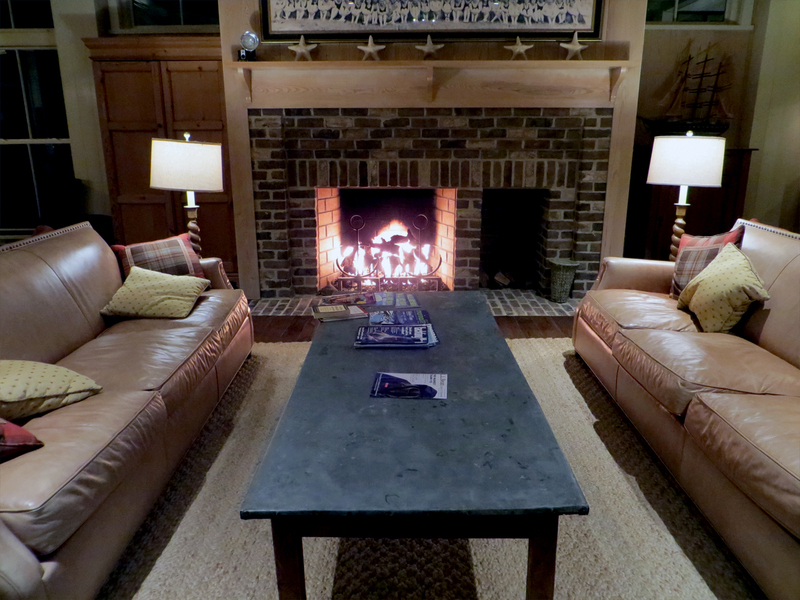 We are cradled in our cozy cocoon, enjoying hot showers and a game of Rummi Kub before dinner. Since we are unable to receive TV stations with our digital antenna in this remote anchorage, recorded music is our source of entertainment for the evening. Sunset tonight is a blend of muted red and orange, instilling hope for brighter skies tomorrow. There is nothing quite as effective as a 90-pound anchor and the absence of TV evening news to impart a secure feeling that all is right with the world. The alarm clock rudely awakens us out of a sound sleep at 6 AM on Saturday. Cutter Loose and Dream Catcher are underway at 7 AM for the long 70-mile journey to the Pungo River. Sunshine and clear skies make short work of the buildup of condensation that has accumulated on the windshield overnight. By 10 AM, Albemarle Sound is astern and the Alligator River Swing Bridge is visible a few miles ahead. At 1 PM, Cutter Loose enters the Alligator River – Pungo River Canal. This is a narrow, dredged cut through dense cypress swamps that extends in a straight line for 25 miles. From a piloting standpoint, the Canal poses few challenges with the exception of avoiding the occasional deadhead log. 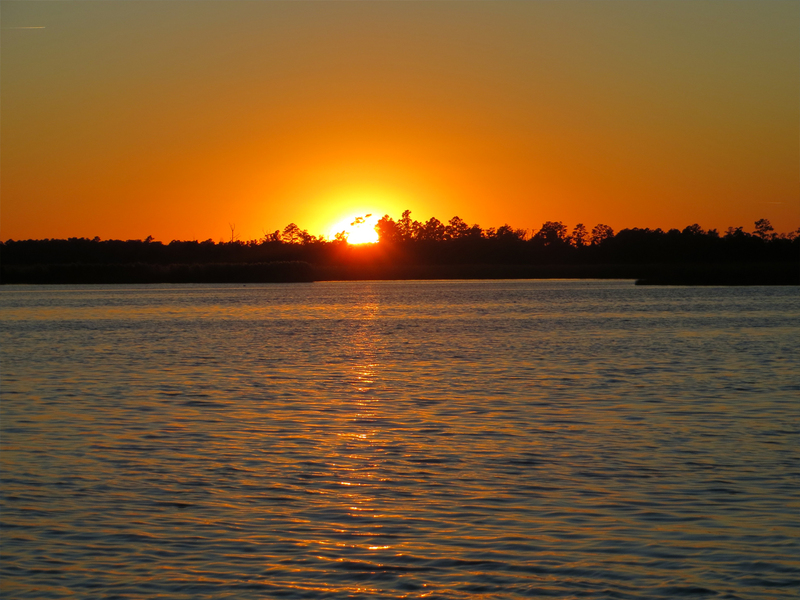 Our reward at the end of the Canal is a snug anchorage and a delightful sunset in the narrow headwaters of the Pungo River. A small craft advisory has been issued for these waters beginning this evening through Sunday afternoon. The NOAA marine forecast calls for 20 to 25-knot winds with gusts to 30 knots. Extra anchor chain has been carefully laid out as an added precaution in the event of a blow. Given the protection of this anchorage and the holding characteristics of the thick black mud in which the anchor has been set virtually guarantees a restful night despite the wind forecast. Sunday dawns bright and sunny but quite chilly. It is tempting to remain at anchor today while the cold front works its way offshore. Since our destination of River Dunes Marina is a relatively short journey of 48 miles, we decide to press on despite the windy conditions. 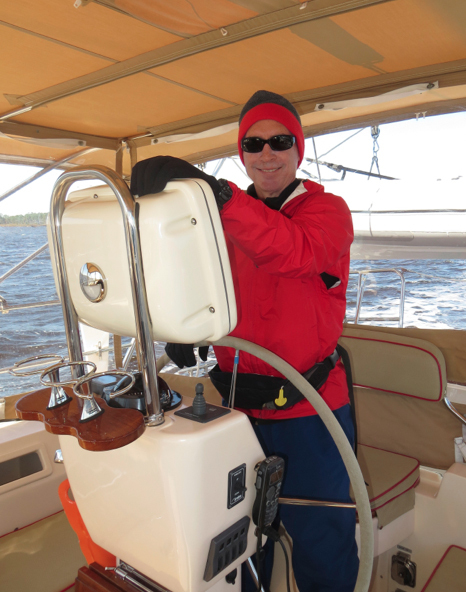 At 9 AM, we bundle up in winter clothing to weigh anchor in the Pungo. Gusty northerly winds today are in the 20 to 25 knot range. 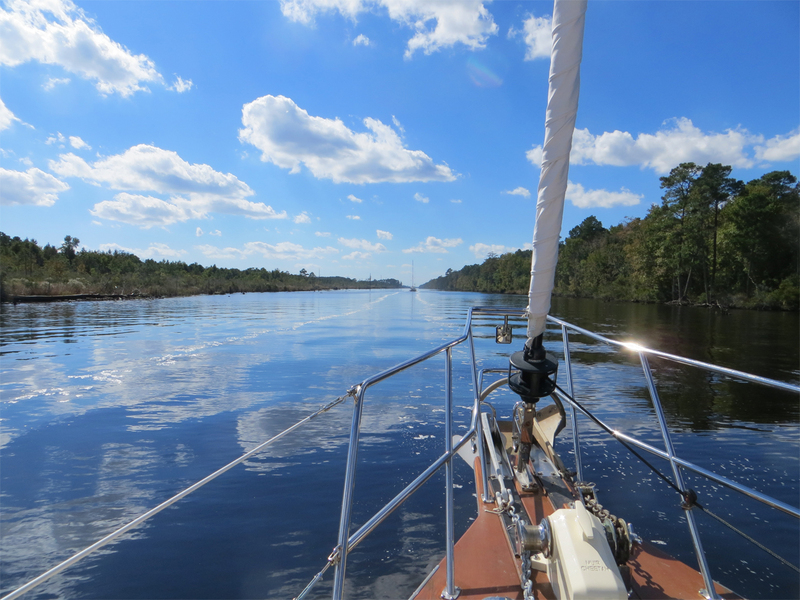 Our meandering course takes us downwind across the Pamlico River to Goose Creek where the ICW passes under the Hobucken Bridge and into the wide open expanse of the Neuse River. 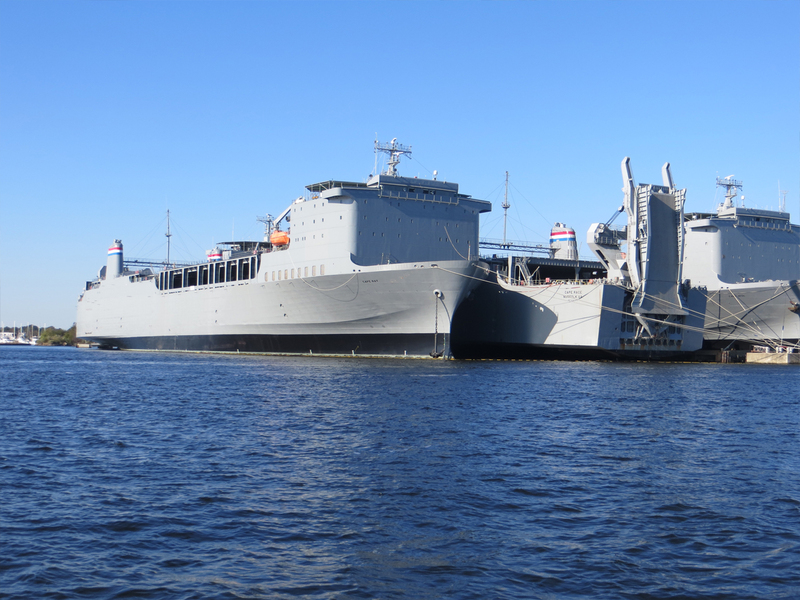 By 3:30 PM, Cutter Loose is docked at River Dunes Marina near Oriental, NC. The marina is part of an upscale residential community with an elaborate clubhouse. Stopping at River Dunes is a no brainer because it is an attractive facility, it is sheltered from the gusty northerly winds and because it offers a special “two nights for the price of one” promotion. In addition to the “twofer”, an additional $50 dockage discount is offered because we are travelling in a small flotilla of four boats. One more important reason to pause at River Dunes is because a frost warning has been issued for coastal North Carolina. Being plugged into shore power at our slip permits the operation of the heating system aboard Cutter Loose, which will prove comforting when the temperatures dip into the thirties overnight. Monday is a day of relaxation ashore with several visits to the small town of Oriental for food and entertainment via the free loaner vehicle provided by the marina. Under sunny skies, moderate wind and an afternoon high temperature of 60 degrees, it is a lovely day for a stroll around the grounds at River Dunes. Although several residential lots have been sold, there has been little new development here since we visited in 2011. 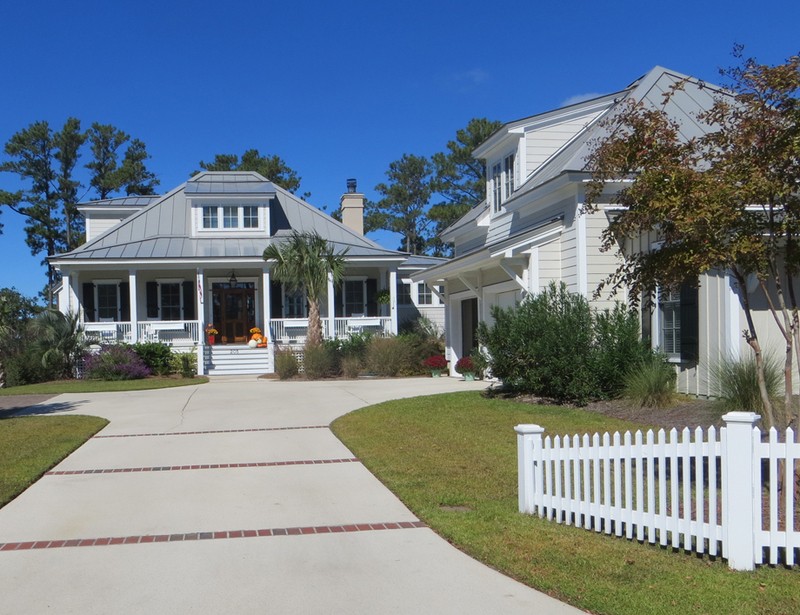 Obviously, the effects of the 2008 recession are still being felt in the coastal retirement real estate market. On Tuesday, Cutter Loose is underway from River Dunes at 9:30 AM for the 34-mile run to Beaufort. Unlike the robust wind and sea conditions that accompanied us on our way to River Dunes on Sunday, the water today is as flat as a pancake. Under sunny skies and temperatures in the 60s, our course takes us through Adams Creek and into Russell’s Slue. 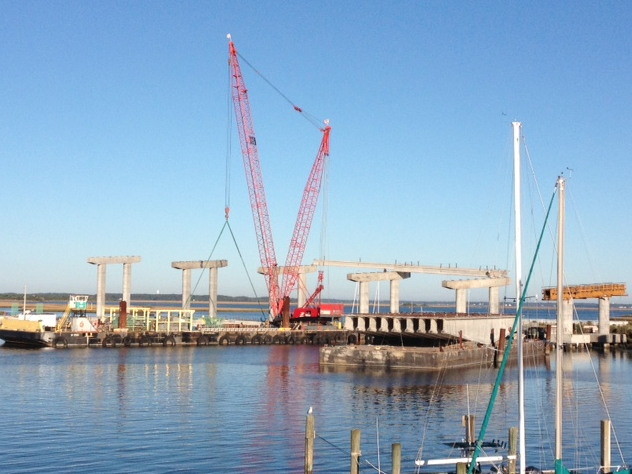 Freshly cast concrete piers for a new fixed-highway bridge have created an obstacle course in Gallants Channel. 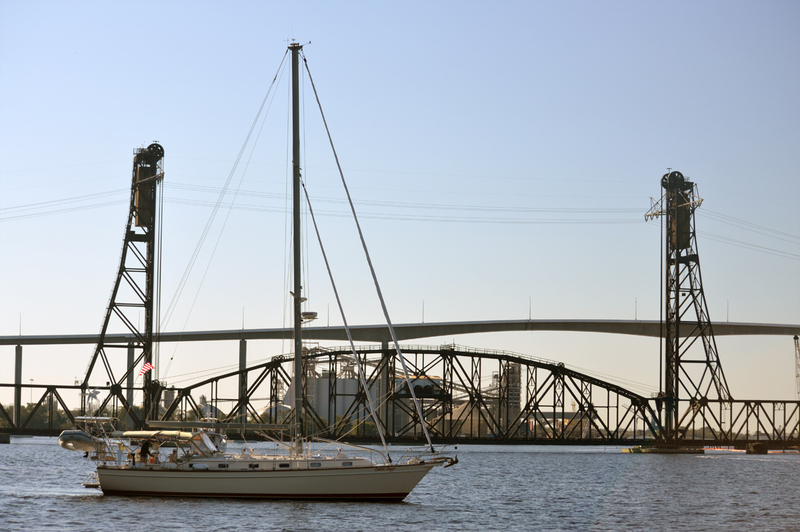 At 3 PM, Cutter Loose is docked securely in her slip at Town Creek Marina. The sole purpose of our stop in Beaufort is to visit with friends Greg and Kate and their labradoodles. 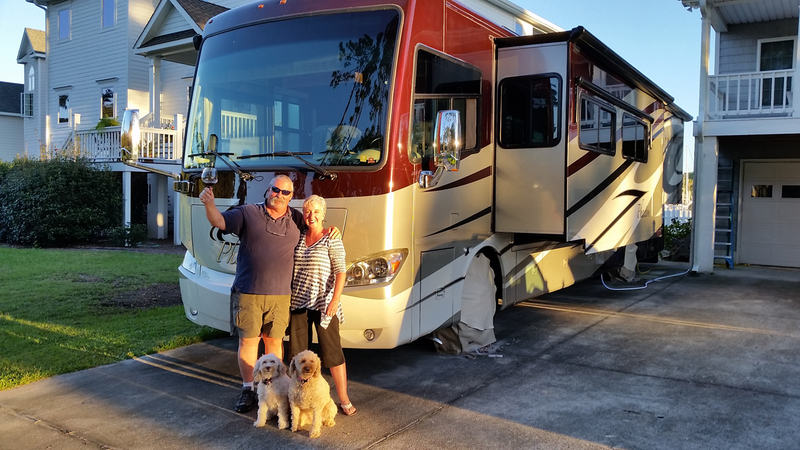 Most of the time, this tight family unit can be found touring the western national parks, the Canadian Yukon Territory and Alaska in their Class A motor coach. 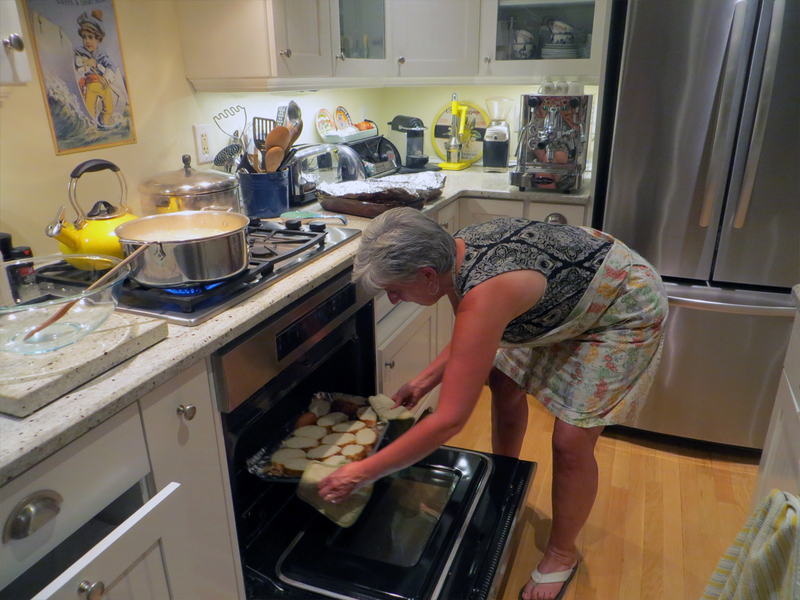 In typical fashion, we are treated to a delicious homemade meal and fascinating conversation about their travels. It is always entertaining to be in their company. 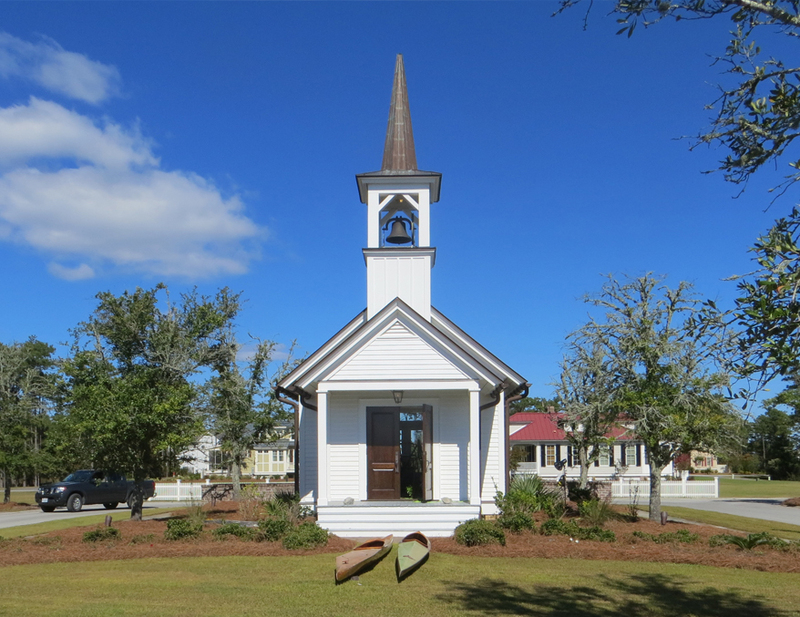 The next leg of our journey will take us from Beaufort, NC to Charleston, SC. Depending on weather, there are several route options ranging from an outside coastal run, the inside waterway run or combinations thereof. It will be interesting to learn how this segment will materialize. This entry was posted in Winter Cruise 2015 - 2016. Bookmark the permalink.